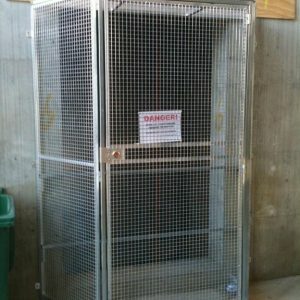 Ensure your lift shaft protection on site with the JNI Lift Well Safety Enclosure. Light weight yet solid steel construction will ensure long site life and will stand up to the the rigours of the construction industry. Auto latch type locks ensure the gate can’t be locked open and gives a keyless operation from within the enclosure.